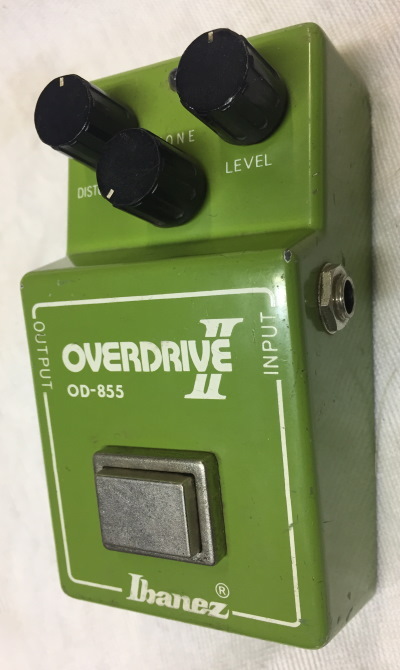 pre TS-808 rare & vintage great sounding ! a vintage piece for ears and soul. 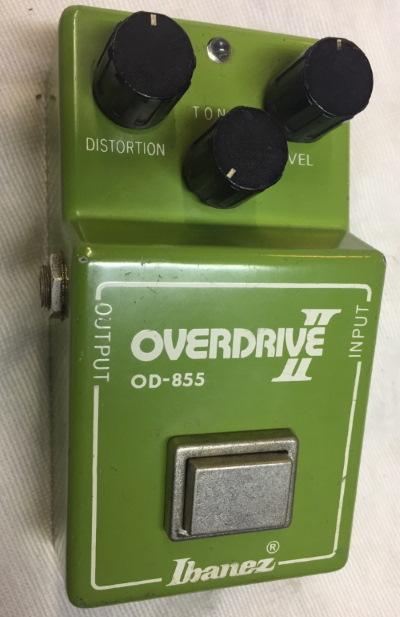 A classic Ibanez Overdrive II distortion pedal from the 70s. Pedal sounds amazing. 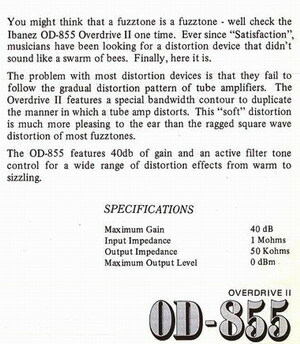 It will literally transform your sound. No distortion pedal vintage or modern has ever sounded as good to me as these. They are warm and fat, not mid-rangy and shrill. These are made with the old parts from Japanese factories that have a mojo that cannot be re-created.